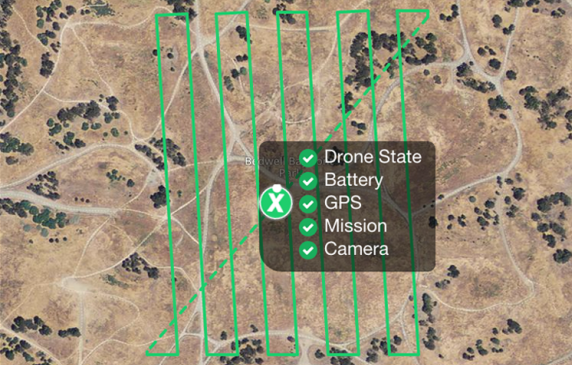 DroneDeploy, a start-up poised to make farms and other businesses significantly more efficient, launched its mobile app Tuesday and announced it will be compatible with one of the world’s most popular drones. Drones, as low-cost flying machines, make great rescue tools. They can look and go places people can’t--or at least can’t go safely--and with infrared cameras, they can sometimes see beyond what human eyes can. In Houston, the World Animal Awareness Society plans to use them to track stray dogs, combining a drone's utility as a mapping device with its rescue abilities. On a day when Amazon.com announced that it would be expanding one-hour delivery for certain items into more U.S. metropolitan areas, the company received better news regarding a logistics program that has been viewed by many as a pipe dream. In the not too distant future, swimmers in distress may look up to the sky for help and find, not a lifeguard, but a drone, delivering a life preserver in their moment of need. Designed by Amin Rigi and RTS Labs in Iran, the Pars drone is a robotic lifesaver. First demonstrated in 2013, Rigi is launching an RTS Labs offshoot, RTS London, to mass produce the drones. On February 23, the Federal Aviation Administration published in the Federal Register its long-awaited Notice of Proposed Rulemaking ("NPRM") concerning proposed regulations for small unmanned aircraft systems ("sUASs") weighing under 55 pounds. The NPRM culminates over six years of agency work, and follows two years of legal challenges, advocacy and vigorous public debate concerning the current and future regulatory framework for civilian drones.